NU-DERM™ Alginate Dressing is a sterile, non-woven pad consisting of high G (guluronic acid) alginate and carboxymethylcellulose (CMC) fibre. Designed with gelling capabilities, it enables intact removal while providing high absorbency. This soft non-woven alginate dressing absorbs excess fluid, and protects and covers the wound bed, helping to create a moist environment for chronic and superficial wounds. The dressing does not dissolve, facilitating intact removal. NU-DERM™ Alginate Dressing was developed to manage moderate to heavily exuding chronic wounds and control minor bleeding in superficial acute wounds. Even when the dressing is moist, as a gelled fiber, its structure remains intact. The high vertical absorption of exudate into the fiber dressing protects the wound edge1, thus supporting the healing process. In vitro data demonstrates that dressing tensile strength is maintained when wet1 facilitate intact removal and minimize the need for wound irrigation at dressing change. NU-DERM™ Alginate Dressing can be cut or folded to accommodate the wound bed profile, filling dead space and helping to minimize pooling. NU-DERM™ Alginate Dressing is designed to absorb exudate while helping to maintain a moist wound healing environment. The NU-DERM™ Alginate Dressing’s hydrophilic fiber forms a gel at the wound surface-generating this moist wound environment. Overall, in vitro data shows, this highly absorbent dressing holds up to 18 times its own weight in fluid and maintains tensile strength, facilitating intact removal and minimizing the need for wound irrigation at dressing change. As a result, the highly absorbent Alginate may help reduce the frequency of dressing changes1, freeing up precious clinician time. NU-DERM™ Alginate Wound Dressing is a sterile, non-woven pad consisting of high G (guluronic acid) alginate and carboxymethylcellulose (CMC) fibre. The wound dressing is designed to be fast gelling and to allow removal intact. NU-DERM™ Alginate Wound Dressing is indicated for the management of moderate to heavily exuding chronic wounds and to control minor bleeding in superficial acute wounds. - Donor sites and postoperative wounds. 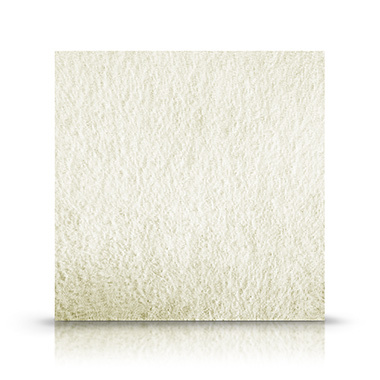 NU-DERM™ Alginate Wound Dressing can be cut or folded to accommodate the wound bed. The evidence table below provides some insights into the Absorption capabilities of the NU-DERM™ Alginate Dressings.